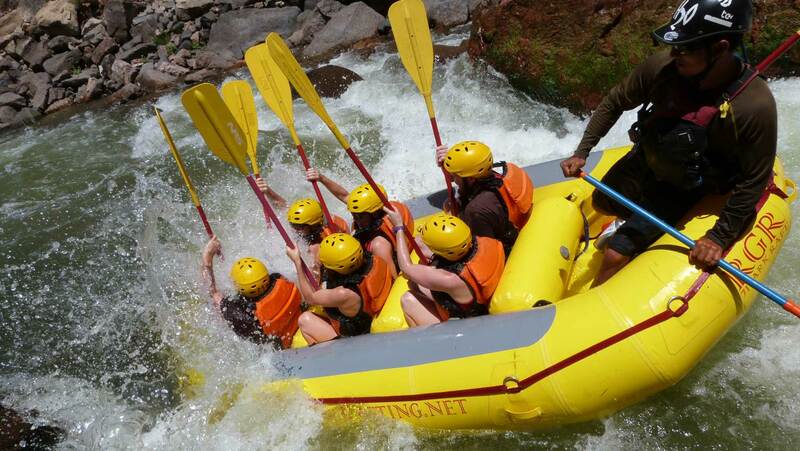 For quintessential Colorado beauty, high-altitude attractions and Olympic inspiration, Colorado Springs is a year-round destination with an impressive roster of outdoor, family-friendly and cultural activities. The small but mighty counterpoint to Denver, Colorado Springs is a quick, scenic drive away and one of visitors’ favorite destinations. Making it even more accessible, many major airlines offer direct flights to the Colorado Springs Airport, situated just minutes from downtown. From scenic hikes to Olympic experiences and zipline adventures, there are plenty of ways to spend your time in Colorado Springs. Below you’ll find 10 of the top can’t-miss experiences in the Pikes Peak region. And if you’re looking for a place to stay, lodging options cover all travel styles, including luxury hotels, historic properties, vacation homes, campgrounds, RV parks and cabins. 1. 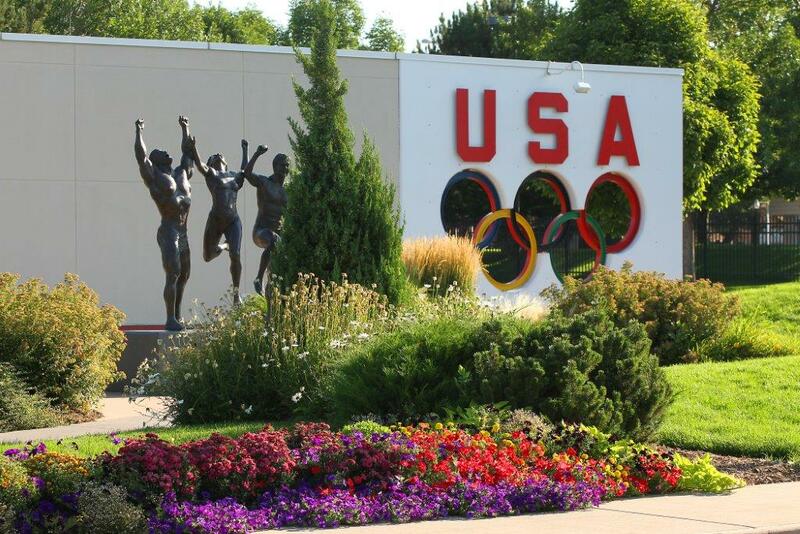 See where Olympic dreams are born at the Colorado Springs Olympic Training Center. 2. Get your heart pumping on the Manitou Incline. The hike up the Manitou Incline doesn’t sound like a tough endeavor until you realize it climbs 2,000 vertical feet along 2,800 steps in just under 1 mile. You’ll follow the path of old tracks that were originally built for a cable car to transport pipeline materials. With the rails since removed, the Manitou Incline now draws hundreds of thousands of people, from Olympic athletes to those seeking a challenging trek with stunning views. 3. 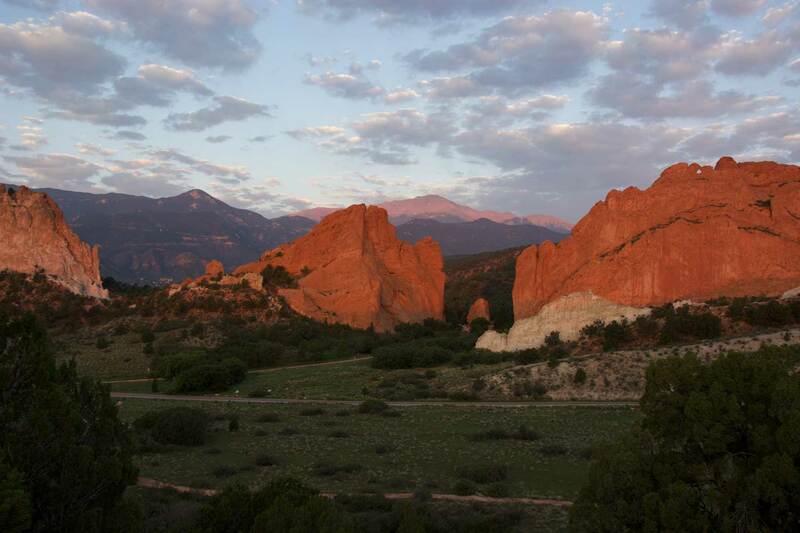 Discover beauty and geological history at Garden of the Gods Park. This biological melting pot — a meeting of grasslands, woodlands and mountain forest — has been deemed a National Natural Landmark, and is also rated the No. 1 park in the U.S. in 2014 by TripAdvisor®. The towering red sandstone rock formations such as Kissing Camels, Balanced Rock and Siamese Twins, create an other-worldly setting for a low-key hike or high-intensity training. Start your adventure at the Garden of the Gods Visitor & Nature Center. The world-class Visitor & Nature Center and museum is the most visited attraction in the region with all-new interactive exhibits. 4. Soak in the inspiration for “America the Beautiful” at Pikes Peak. Experience America’s Mountain in a variety of ways. Whether you choose to drive the scenic 19-mile Pikes Peak Highway or hike up Barr Trail, you’ll be rewarded with breathtaking views of the majestic Rocky Mountains and far across the “fruited plains” once you reach the 14,115-foot summit. 5. Explore the Colorado Springs Fine Arts Center at Colorado College’s multidisciplinary culture. There aren’t many places where you’ll find a nationally accredited art museum, Broadway-worthy theater, gourmet dining, retail shop and an art school all under one roof, but the Fine Arts Center encompasses just that. Traveling exhibitions, events, musicals, dramatic plays and concerts are a few of the reasons to plan a visit. 6. 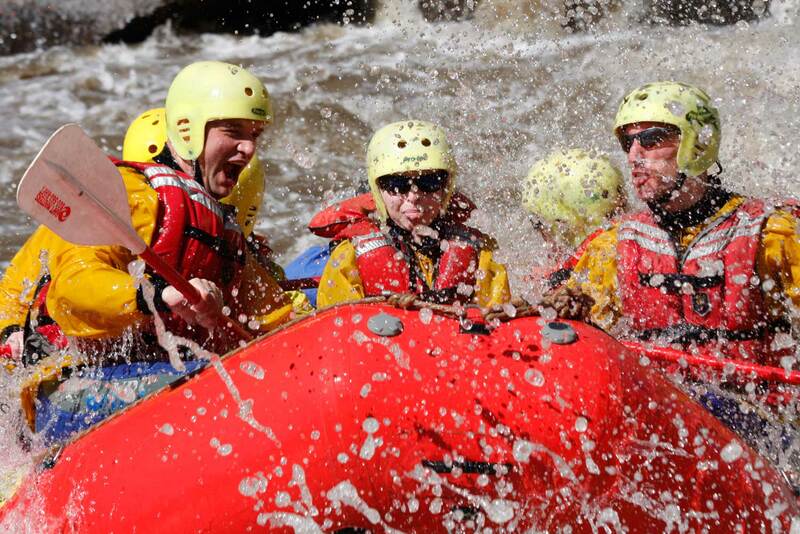 Find thrills in the Royal Gorge Region. 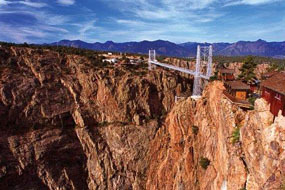 The Royal Gorge Bridge and Park is better than ever, showcasing a new visitor center and updated activities. Cross the highest suspension bridge in North America — suspended 956 feet above the Arkansas River — either on foot or Segway, plus enjoy a host of attractions like an aerial gondola ride, the iconic Water Clock and a historical expo and shows in the Plaza Theater. Adrenaline junkies can fly through the air on the Royal Rush Skycoaster, traverse the gorge via the Cloudscraper ZipRider zipline or navigate rapids below with Royal Gorge Rafting. 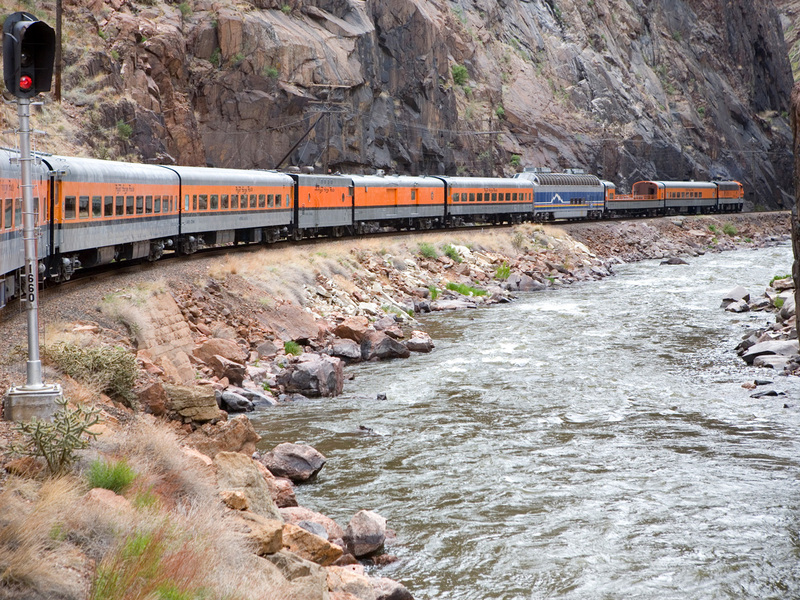 Hop aboard the Royal Gorge Route Railroad for a 24-mile train ride winding through the gorge while enjoying local wine and a gourmet meal. 7. 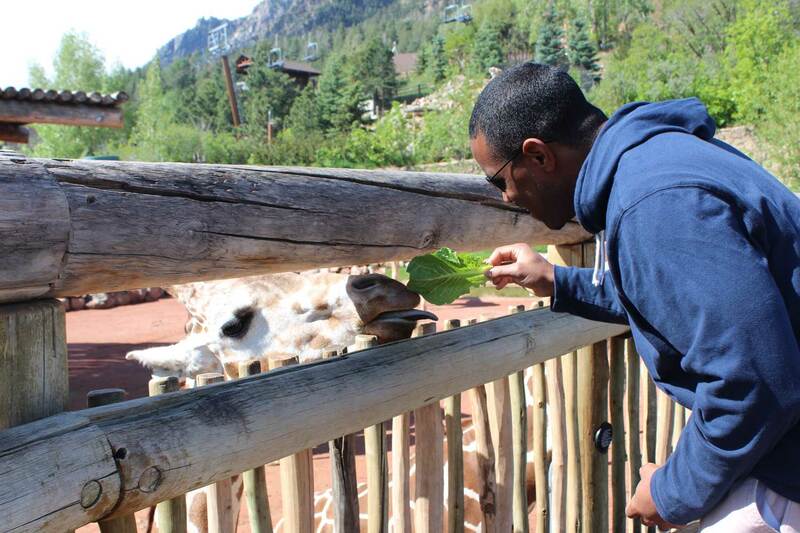 Go wild at Cheyenne Mountain Zoo. Experience America’s only mountain zoo, home to more than 900 animals and 200 species. Hand-feed the giraffes or elephants, visit zebra and warthogs in the Encounter Africa exhibit, and check out the new Australia Walkabout – home to alligators, wallabies and even a tree kangaroo. Ride the antique carousel and soar over the zoo on the ski-lift-style Mountaineer Sky Ride. 8. Bask in the scenery of The Broadmoor’s Seven Falls. This park exhibits natural beauty and activities. The waterfalls are a sight to behold, and you can climb the 224 steps nearby to reach the stream that feeds them as well as hiking trails. For more exploration, the park’s Broadmoor Soaring Adventure course lifts you above the scenery on two thrilling zipline courses and a rope bridge above the falls. When hunger strikes, have lunch or dinner at Restaurant 1858, where prime patio seating looks out to the base of the falls. 9. Sample a pint from one of Colorado’s craft breweries. 10. 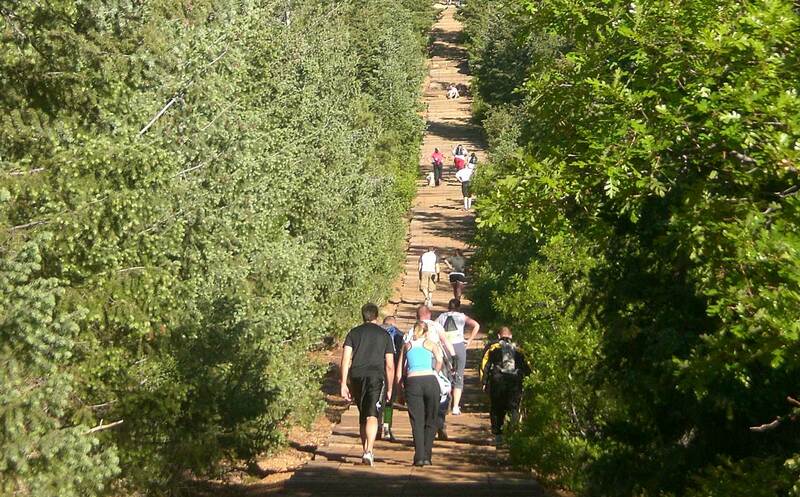 Find your fitness on the area’s hiking and biking trails. Finalizing your travel plans? Make things easier with trip-planning resources like a free Colorado Springs vacation planner or app, and check out deals and coupons for special offers on lodging, attractions and more. The Colorado Springs Convention & Visitors Bureau also provides travel tools and event listings.